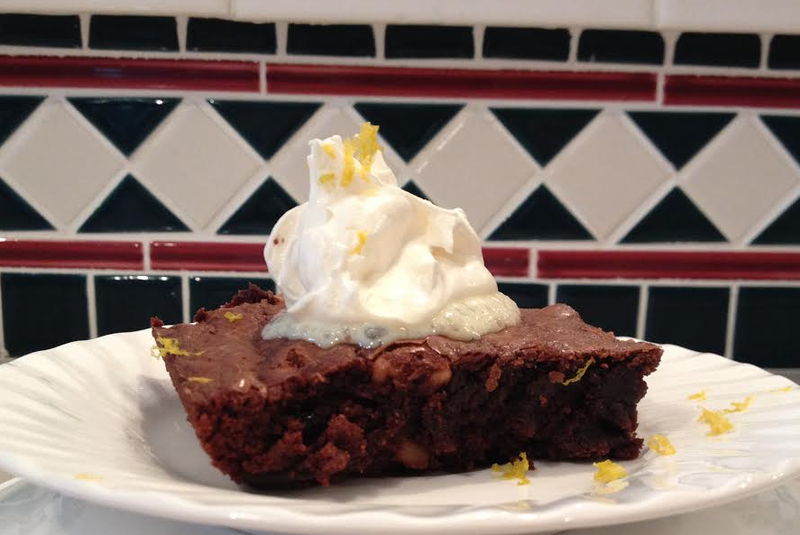 This spicy cake style brownie has a hint of orange, a kick of cayenne pepper and is balanced out with a pinch of sea salt. Step 1: Preheat your oven to 325 and lightly oil your brownie pan. Step 2: Pour 1/3 cup of oil into a measuring cup, add the water, eggs, vanilla, and orange zest. Beat lightly to combine. Step 3: Pour the brownie mix into a large bowl. Add the cinnamon, cayenne and sea salt. Stir until mixed. Step 4: Add your wet ingredients to your dry and stir only enough to combine. Step 5: Bake your brownies until a toothpick inserted into the middle comes out clean. Around 30 minutes. Serve with whipped cream and garnished with orange zest. Bon Appétit!